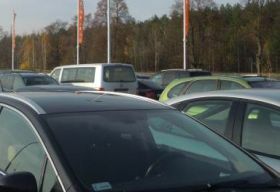 Orange Parking in Modlin – Who are we? 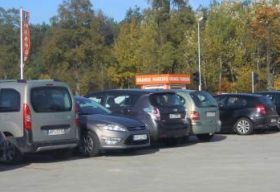 We run a safe and trusted parking lot near the Modlin airport. Our parking lot is located only 50 meters from the airport on the Gen. W. Thommee Street. Compare other parking lots near the airport and see that only we will provide you with the best quality of service, best prices and professional 24-hour security for parked cars. Each day, dozens of passengers use our parking lots. You too can trust us. Come and use our parking services. Comfort , because we are located right near the airport in Modlin. You get out of the plane and have literally a few hundreds of steps to the terminal. Security, because we are working 24 hours a day, and your car will be under constant care of guard company. Only advantages, because we are cheap and nowhere else you can find a place to leave your car during the plane travel that offers such good quality for such good price. That is why we invite you to use our offer. If you have any questions, please use the contact form that is on this site. 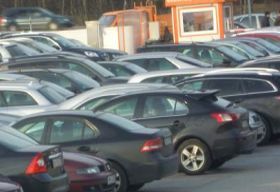 If you want to reserve the parking spaces, there is a registration form available above – It takes only a moment to fill it in, and it will assure you that the parking spaces are reserved. We are hoping that you will be pleased with our services.